When properly implemented, Customer Relationship Management (CRM) software has the potential to drastically improve a company’s performance and efficiency. However, this can only occur if an organization’s employees fully embrace the CRM tools. 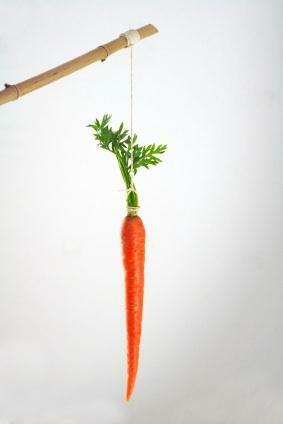 This may seem a simple concept, but it is often considered to be the biggest obstacle in the CRM space. It is surprising to learn that spending on CRM software, installing it on the corporate network, initial training and even having a software implementation go-live meeting does not always guarantee that employees will adopt the CRM software to its full potential. Best practices for CRM suggest that the key is to design a complete strategy for before, during and after CRM implementation that includes planning, methodologies, feedback and training. It must be an on-going process. This is the reason Claudio Marcus, research director at Garnet commented, “CRM is not part of the business strategy, CRM is the business strategy”. Even the best CRM systems in the world cannot help an organization towards smoother operation, unless the CRM systems become part of the culture of the organization, where both the top-management and employees embrace CRM in order to add value to the whole process. So the comment that is still missing from this conversation is how to communicate to the end users or front line employees the value CRM systems bring to their organization as a whole. CRM expert,Martin Schneider shares in his article: “The Hard Sell” some sure-fire ways to ensure everyone knows how to use it correctly and then actually use it. He uses an analogy to explain his point, “Some say generals receive all the glory in battle, but that soldiers are the ones who actually win the war. The same rings true with CRM”. 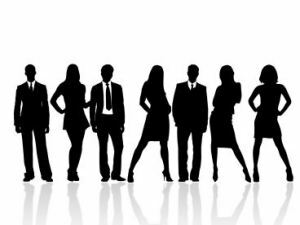 Martin further states that the initiative to sell CRM within the organization need to be driven from the top-management level but it takes the daily efforts of the employees who use the systems to make CRM a success. By this he implies that the focus should be on the users who should be treated as customers by the top-management in this case as without their buy-in and participation, the money spent on CRM systems is unfortunately lost. To avoid this problem, there is no one size fits all solution but these are the three common approaches to consider. This approach of offering financial incentives, either through sales commissions or a performance measure, could be considered as the easiest method to encourage employees to fully adopt the CRM systems and also realize their benefits along the way. According to Scott Sullivan, Vice President of Sales at Draker Laboratories, careful carrot-and-stick incentives program helped them to convert from an ad-hoc approach, largely involving Microsoft Office documents and spreadsheets to a customer centric CRM approach. The key is to keep higher incentives for the early and deep adopters of CRM and less pay for those who don’t use the tool. Even before investing in the CRM system, the whole thing needs to be clearly mapped out. Everyone involved in the purchase, implementation and use must understand the objectives of the organization and the role of CRM in the pursuit of these objectives. Once that message simmers, percolates and permeates throughout the organization, the role of the top-management is to build accountability and roll-out continuous monitoring in order to ensure that employees use the CRM system and stay on track. Furthermore, top-management must also use the CRM system so that they can run reports themselves, instead of continually asking employees for information. This way the users won’t think of the CRM tool as a way of top-management to churn reports. A simplified approach to CRM can make a huge difference to increase learning; lower apprehensions associated with using new software and improve adoption among the users. 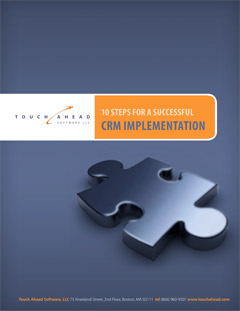 The focus should be on making the CRM system as easy as possible to use. As stated by Steve Hosmer, President of AM&B Marketing Corp. in the Focus forum, “If you were a member of your own sales team, your biggest issue with CRM would probably be time consuming and sometimes painstaking data input, that is the number one complaint that I hear when drilling down into user resistance”. So it is vital to look for strong usability and functions that help the users of CRM systems in meaningful and apparent ways. For instance, it could be integrating CRM with outside tools often used by the end-users like Outlook, Google, Lotus, and social networking sites etc., so to ensure they are saving time and effort. This entry was posted in Blog and tagged CRM, CRM Adoption, CRM Best Practices, CRM Implementation, CRM training, Top-management commitment. Bookmark the permalink. ← Time for a CRM Evaluation Tune-Up?